← Are We Teaching Our Kids How to Earn…or How to Think? February Profile: John Dear, S.J. Lazarus Come Forth, the newest book by John Dear, S.J., challenges the reader to look at the gospel story of the raising of Lazarus from the dead in an entirely new light. Dear offers new insights and suggests that Lazarus represents humanity and that the story of his raising is about the God of life confronting the power of death and calling humanity to walk out of the tomb that is our culture of violence and war and into a new life of resurrected peace. “That book was 30 years in the making,” Dear said. “I heard a great theologian (Monika Hellwig) speak when I was 21. She said Lazarus represents the human race. I never forgot that. If that’s true, then the story makes sense. The whole human race is stuck in the tomb of a culture of violence and Jesus is the God of life calling humanity out of the culture of war and death. Part II of the book pulls apart each of the major steps of the raising of Lazarus and gives the reader ample opportunity to consider how they are like Martha and Mary or the “professional mourners” at Lazarus’ grave. His insights into Martha’s questioning of Jesus and how they relate to us and our culture of death today are nothing short of life-changing. Bethany and the raising of Lazarus is one of Jesus’ first stops in route to Jerusalem. Readers who stop in Bethany with John Dear will not be disappointed in the challenges and awakenings presented within this book. 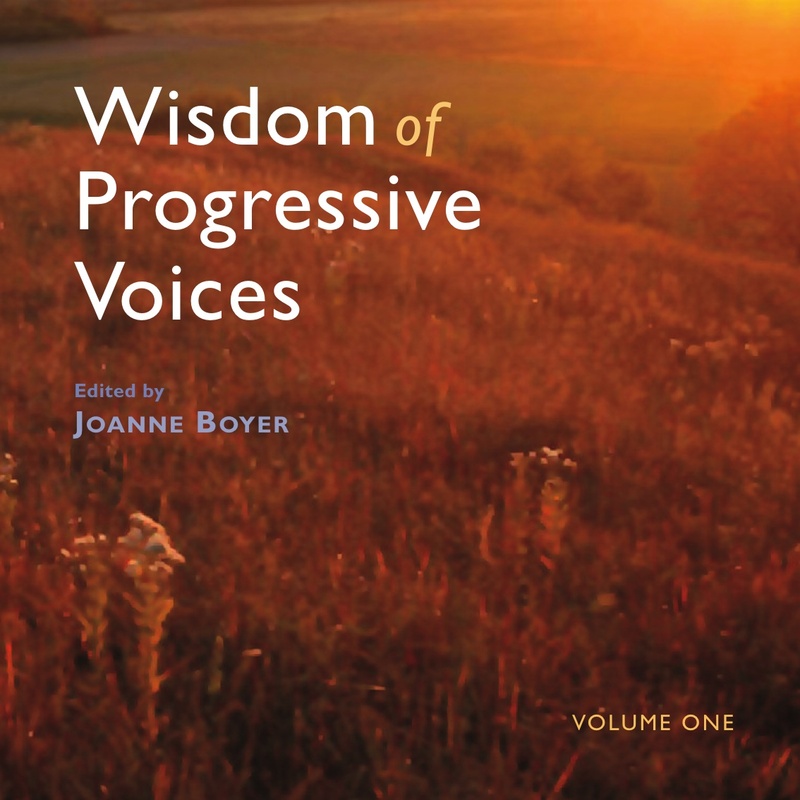 Click here for information on how to order the book. Sit with the word for just a moment and ask yourself what does it mean to you? Have you ever taken a moment to stop and think what nonviolence would look like in your own life, in the life of your local community or as a citizen of the world? For John Dear, S.J., the word nonviolence is at the heart of his work and his life. Dear, nominated in 2008 by Archbishop Desmond Tutu for the Nobel Peace Prize, is an internationally known voice for nonviolence and peace. A Jesuit priest, pastor, peacemaker, organizer, lecturer, and retreat leader, he is the author/editor of 28 books, including his autobiography, A Persistent Peace and his most recent Lazarus Come Forth (see sidebar). He also writes a regular column for the National Catholic Reporter. For Dear, nonviolence is not a mere thought but a way of life that has washed over him for more than 30 years. The best way to appreciate the breadth and depth of his writings and his lifelong journey on the path of nonviolence is via a trip to his web site. “I’ve seriously studied Martin Luther King, Jr. and Mahatma Gandhi for 30 years,” Dear said in a recent interview with Wisdom Voices. “Both of them talked about nonviolence morning, noon and night. They didn’t talk as much about ‘love,’ ‘truth’ or ‘peace’ because they said that our language has failed. Many people speak of peace, for example, as if it means you can still be for war and nuclear weapons. So they used a whole new word ‘ahimsa’ (a Hindu word that means nonviolence). 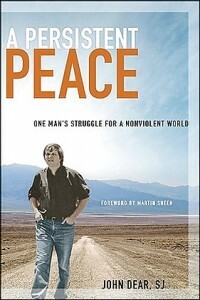 “They saw nonviolence as a whole new way of life. And it begins with the boundary line that there is no violence. You don’t kill people. You don’t support the killing of people and you don’t harm people and prepare to nuke people. It’s about the force of love that seeks the truth of our common humanity that allows God to disarm our hearts and that reconciles with everyone. It actively resists all destruction and violence with this one bottom line: There is no cause, no matter how noble, no matter what anyone says, for which we will support the taking of a single human life. “My thinking of nonviolence after 30 years is that it’s a spirituality not just a methodology. It comes from a vision that sees every human being as your sister and brother. That’s the key to the whole thing. That we’re all one and we are already reconciled. Once we enter the truth of our common unity, then we realize we can never hurt anyone again or be silent when 30 wars are raging, people are starving, nuclear weapons are poised to strike or global warming is threatening our sisters and brothers. Dear’s daily dedication to the mission of nonviolence is beyond question. His work has taken him literally around the world as he has demonstrated for and spoken about nonviolence and peace to more than a million people. Dear has taken his mission to El Salvador, where he lived and worked in a refugee camp in 1985; to Guatemala, Nicaragua, Haiti, the Middle East, Colombia, and the Philippines; to Northern Ireland where he lived and worked at a human rights center for a year; and to Iraq, where he led a delegation of Nobel Peace Prize winners to witness the effects of the deadly sanctions on Iraqi children. He has run a shelter for the homeless in Washington, DC; taught theology at Fordham University; and served as Executive Director of the Sacred Heart Center, a community center for disenfranchised women and children in Richmond, Virginia. The more than 30 years of preaching, writing, and activism for nonviolence has led to more than 75 arrests and more than a year in jail. He has been mocked by the New Mexico National Guard, who harassed him outside his parish home and he has withstood the wrath of audiences and parish members who have disagreed with his anti-Iraq war stance. His Christmas Eve message citing the end of the war in Iraq highlights a list of other recent world-wide activities aimed at peace. Not to be forgotten, he also notes are: the end of the Vietnam war; the fall of the Berlin Wall; the end of apartheid in South Africa and the election of Nelson Mandela; the people power movement in The Philippines; and the three Liberian women whose never-ending activism to end the war in their country earned them the 2011 Nobel Peace Prize. “You could make the case that over two-thirds of the human race is involved in nonviolent movements in the last 30 years. I think about that every day. We just don’t see it in the U.S. because we are in the belly of the beast. We are the empire. “But something has happened with the Occupy Movement. I’m very glad and grateful for that – as long as they engage in nonviolence. I think the Occupy Movement hasn’t been trained in nonviolence. My friends in New York City and San Francisco in particular are holding training sessions with the Occupiers. Violence won’t work. We have to remain nonviolent in all movements. Dear was in New York City, and even scheduled to have breakfast at the World Trade Center, on September 11, 2001 before plans changed. Later, he ministered side-by-side with others to families of victims of 9/11. Yet nothing has swayed his belief that there is no room for revenge or a “just war.” His descriptions in A Persistent Peace of speaking out against the war in Iraq to many audiences clearly articulate the struggle and lonely road that awaits one who preaches nonviolence to a culture enmeshed in military patriotism. His description of the anger and hostility he faced at one evangelical Christian college in Pennsylvania on the eve of George W. Bush’s re-election in 2004 is especially poignant. This entry was posted in Peace, Progressive Profiles, Religion and Politics, Social Justice and tagged A Persistent Peace, John Dear, Lazarus Come Forth, nonviolence, peace, S.J.. Bookmark the permalink.